Everyone has favorite places, places they frequent, to shop, eat, have coffee, read a newspaper, meet friends, and so on in their city or town, from corner shops to shopping malls or downtown areas. Places where you rely on the products and services, where you're usually remembered and you remember them. I'm no different, and personally like finding the small shops, stores, taverns, cafes, etc. 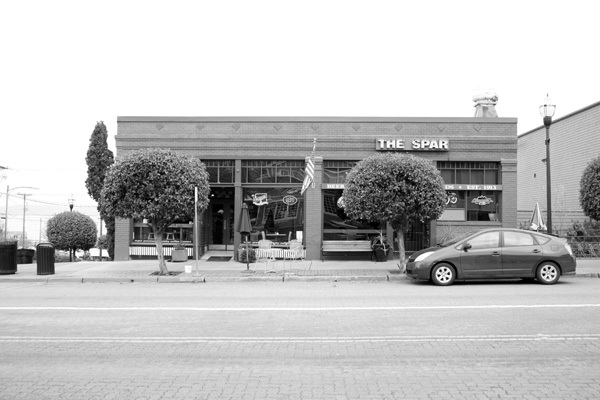 The The Spar, photo above, is one of them with the cafe on the left and the tavern on the right. On Saturdays they serve breakfast where kids abound and parents talk with friends. Why do I like these places? I support small, local businesses, as much as I can. I've found they offer better products, better service, and although they don't always have what you want, as I describe about some below, they'll do more to find what you want, albeit often slower. And being personal to them, they often take the time to listen and discuss the nature of things and the world. I only go to larger or national company stores if they do that and keep it on a personal level. As you can tell most of these don't have fancy fronts, or even often fancy interiors, that's not what they do. They provide great products and service. They're homey and comfortable, well worn from the many customers. The people don't wear uniforms and they treat you as a guest than a customer. They're people who believe in their work. It's always worth the effort to seek out these places and keep coming back. 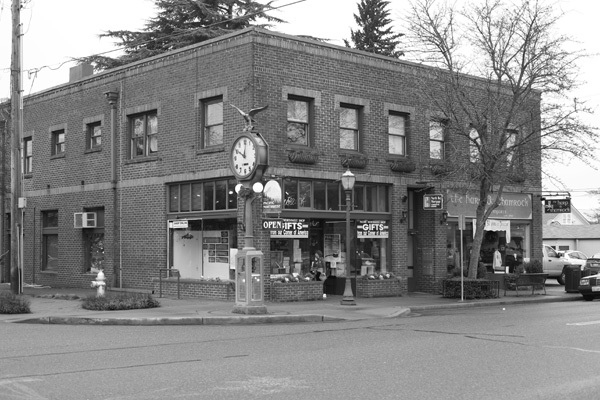 The Commencement Bay Coffee, left photo, located at 2354 South Jefferson Avenue, south of downtown Tacoma, southwest of the University of Washington Tacoma Campus and up the hill from Pacific Avenue, is a a small coffee and luncheon-style cafe in an old building. The difference with them is that they import and roast their own coffee and make great meals. They're open evenings with local events on some Thursday through Saturday. 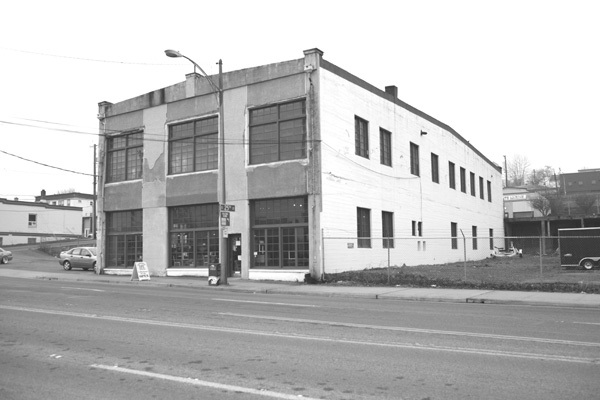 The Pacific Northwest shop, right photo, is located at 2702 North Proctor Street in north Tacoma. It's a privately owned shop not associated with the chain of Northwest Shops often found in malls and airports. These owners have a real northwest shop, only products made in the northwest are sold, nothing imported common with other shops. And you can find lots of products not normally found in stores. 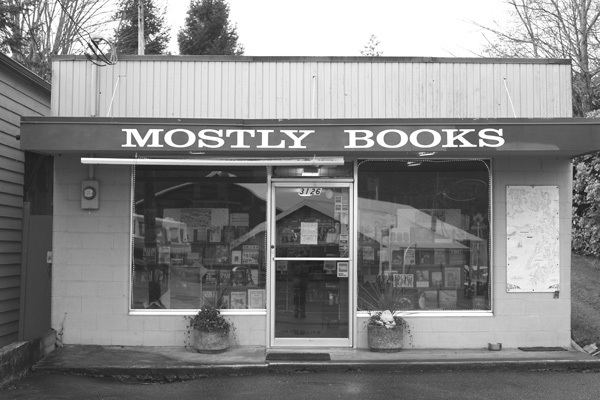 This is the Mostly Books bookstore in Gig Harbor. It's small, but has a great diversity of subjects and books, mostly meaning having on a few of any specific book, but they'll get you any published book. They're a very friendly and helpful bunch. So visit, pull up a stool or sit in a chair and enjoy. 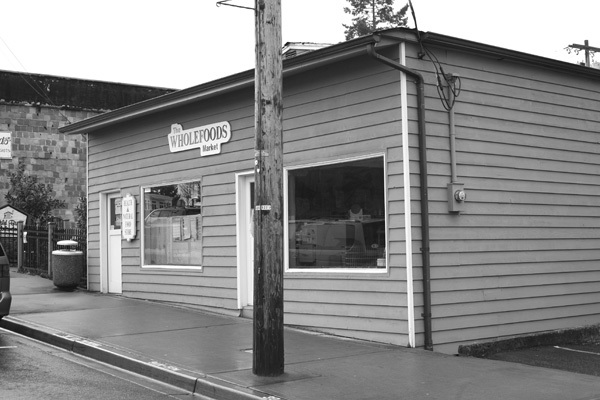 This is the local Whole Foods Market, at 3122 Harborview Drive in Gig Harbor,	a small privately owned store. It is the shop of last resort for me as they will get anything natural or organic health supplement I need. They buy from a variety of wholesalers and companies than relying on a few many stores do to, which means they don't always have stuff, but they can get what you want. There's something for small stores and great local people. 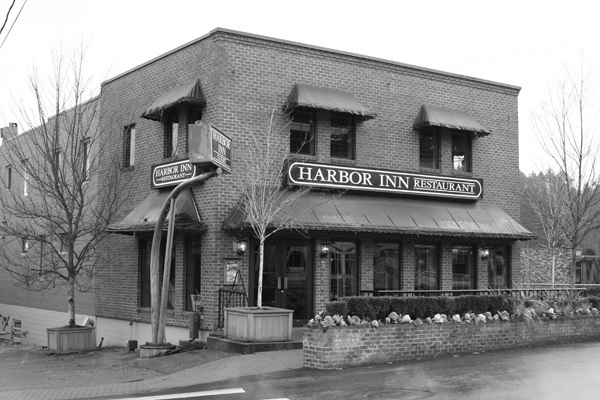 This is the Harbor Inn in the heart of old Gig Harbor, at the base of the hill into the town. It has great food and staff in a quiet atmosphere. You won't regret a meal there. A few years ago a cement truck lost its brakes and smashed through the front of the restaurant. The truck went completely through the front and dropped into the basement where the kitchen is injuring many of the staff. The town now prohibits all trucks going down two roads with steep grades into town. 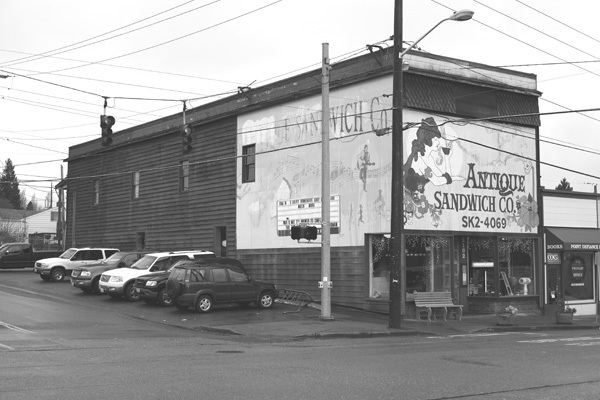 This is the Antique Sandwich Shoppe, 5102 North Pearl Street, on the way to Defiance Park in north Tacoma. It's a well recognized local restaurant and waystop for music and other venues with really great meals and desserts. And they have a play area for kids where they can just be a kid in a safe place. If you visit Tacoma, this is one place you have to visit.